It is with great sadness that I have learned of the passing away of craftsman and fellow ship in bottle builder and enthusiast, Larry Edge. Larry passed away at age 46 on Sunday, August 5, 2012 at his home in Philpot, Kentucky, following an illness of some time. Larry was very active in the hobby and a featured artist at www.folkartinbottles.com. 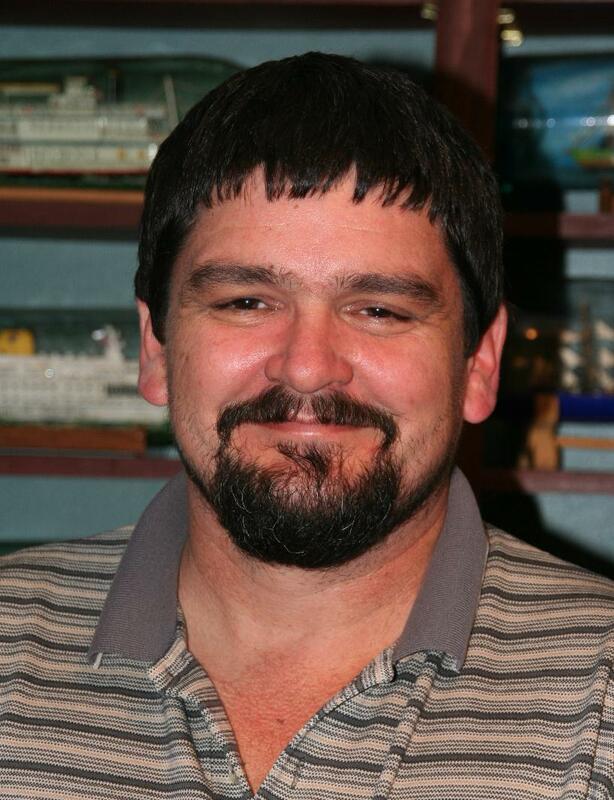 He was an avid contributor to the Yahoo Ship in Bottle group as well as the Ship in Bottle Facebook group page. His sharing and friendly ways will be missed. Rest in Peace, Larry. Larry Edge was born in 1965. He was raised in Knottsville, Kentucky, a small community outside of Owensboro, Kentucky. He was an information technology help desk supervisor at Century Aluminum and formerly, a Network Systems Technician for the City of Owensboro, Kentucky. He began making ships in bottles soon after reading a book by Don Hubbard called Ships-in-Bottles that he had checked out from his local library. After reading the book he thought “I can do that” and, with that confidence, he started building his first model, the Gloucester Schooner from a plan in Hubbard’s book. As his interest in this craft grew, so too did his desire to improve his techniques and the quality of his models. So Larry began researching the subject on the Internet and soon found a SIBAA group on Yahoo at http://groups.yahoo.com/group/shipsinbottles. According to Larry, this group has proven to be his most beneficial resource in helping him improve the quality and detail of his models. Members are always helpful sharing tips and ideas.